← Back to the Bench . . . The bench, for all intents and purposes is now complete! All told, I think it was about 16 1/2 hours of work to build this bench. This was quite satisfying to finish. I hadn’t gotten much accomplished over the past 8 months and this was a way to get the project moving again. 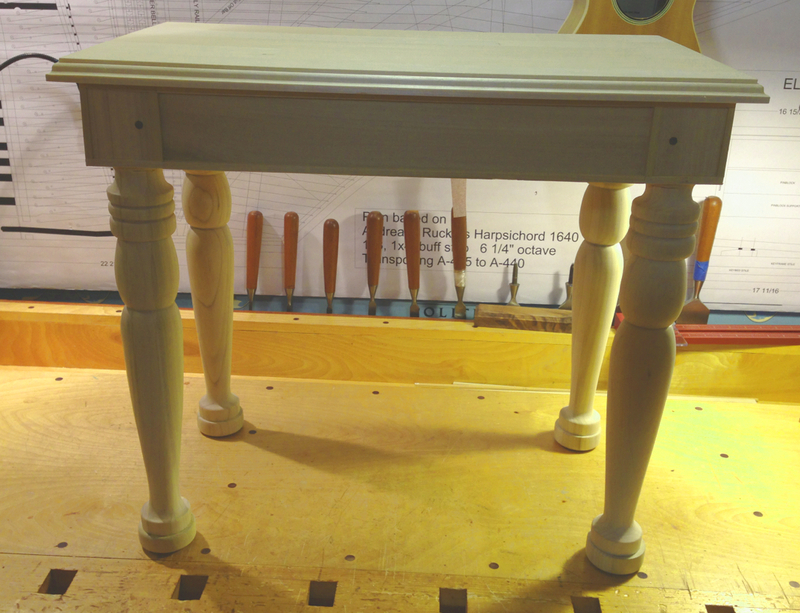 The only thing remaining are some small wood appliqués that would be put on the corners of each leg post. I’m still a bit up in the air about this as I have not been able to find satisfactory appliqués for my purpose. But, that is just a minor detail. All the final trim was put on this week and the seat was hinged last night. I was looking for a way to recess the hinges enough that there would not be a large gap in the back, so I set the hinges extra low in a deeper than normal mortise and scooped out a recess for the barrel to rest in. This technique seems to have yielded a good result. The hinge closeup pictures show the trim pieces in fair detail. There are many 1/4″ and 1/8″ pieces installed, 24 all together! Each piece was individually fitted and flushed to the case. Now I can get back to working on the instrument itself! 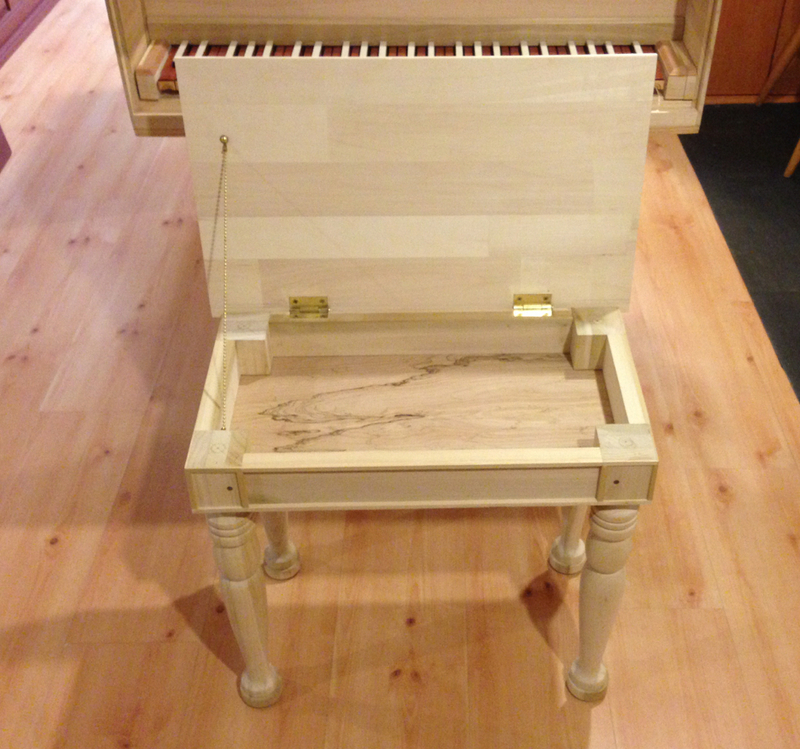 This entry was posted in Harpsichord and tagged harpsichord building, woodworking. Bookmark the permalink. 1 Response to Ready to sit down!